How’s 2019 kicking off for you? It’s been a slow start here . . . the kind where I just want to linger within stillness and reflection, not making any quick decisions or taking fast action. I really do enjoy lingering within my inner worlds. And, winter truly is a great time for that. It’s also a great time to focus our reflective energy through divination. 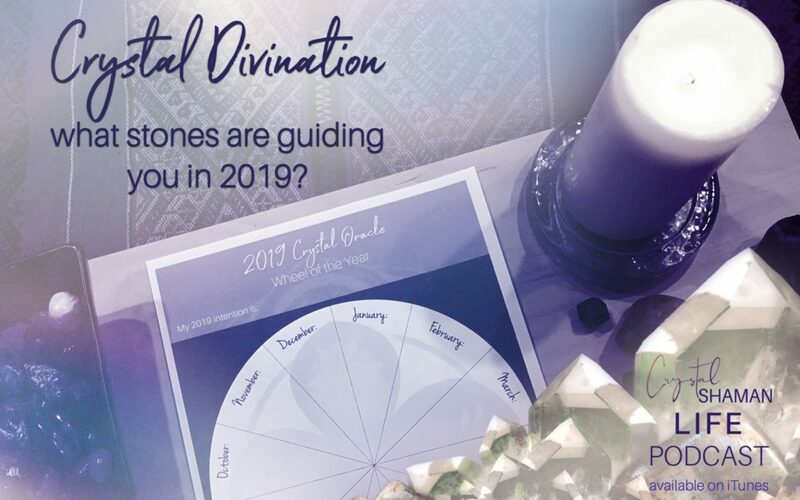 At the beginning of each year I love exploring the wisdom and insights my crystal and stone allies want to share. I do this by doing my own personal wheel of the year crystal reading. 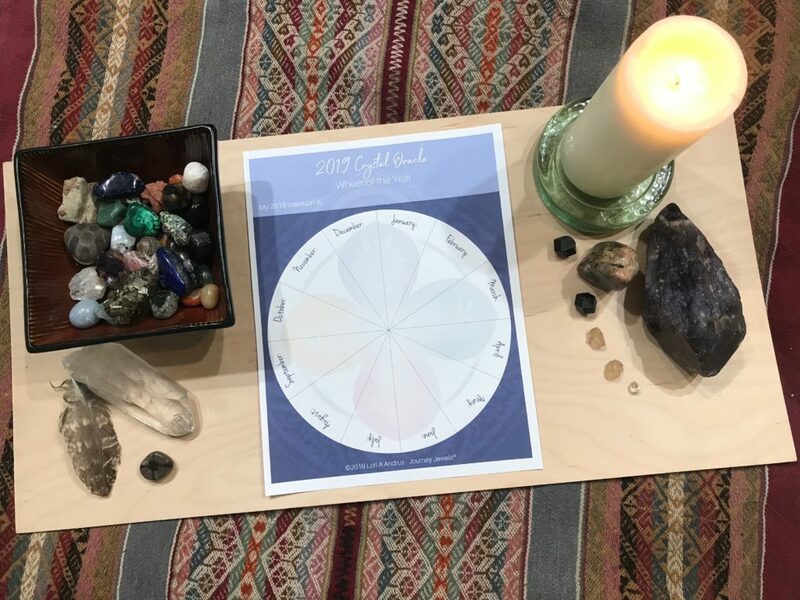 In this week’s episode of Crystal Shaman Life podcast I share a step by step how you can do your own Wheel of the Year Crystal Reading. 1. Gather up at least 13 crystals or stones. 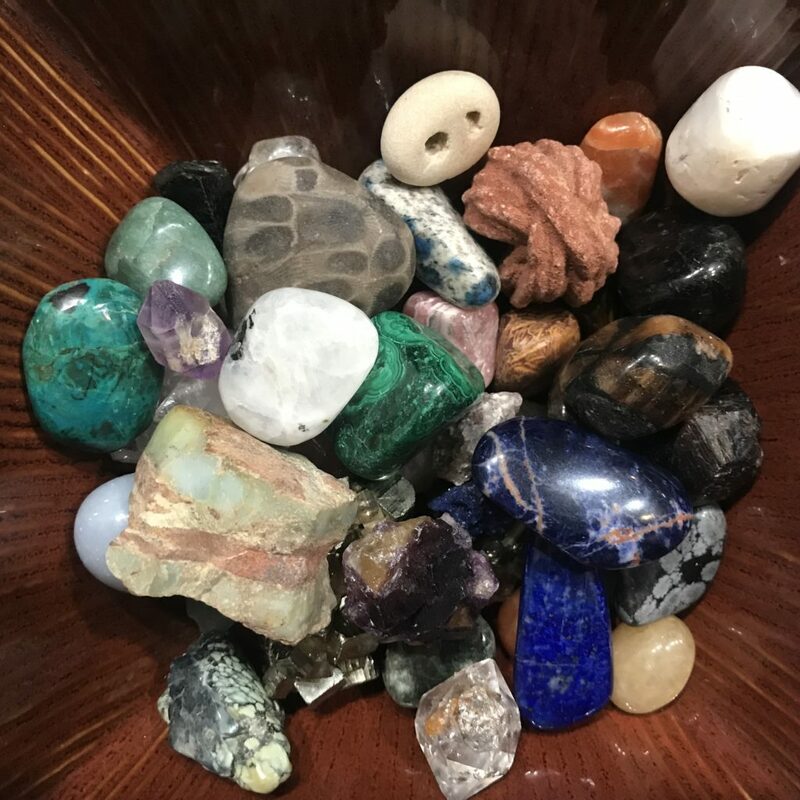 As you can see, I LOVE a nice little bowl filled with all of my current go-to crystals and stones. Recognize any of them? 3. Clarify your 2019 Intention and write it down on the template. 4. Create your sacred space. Here’s a little peek into my space . . . Candles, crystals, a sacred Peruvian cloth, smudge, and soft music (you can’t really see that . . . hehe). 5. One by one, draw or select a stone for each month. 6. Write down each stone and take notes. I like to also do a little background reading for each stone too. There are bits that they tell me and then often I want to see what else jumps out. 7. Place your Wheel of the Year reading someplace where you can easily access it or refer to it throughout the year. 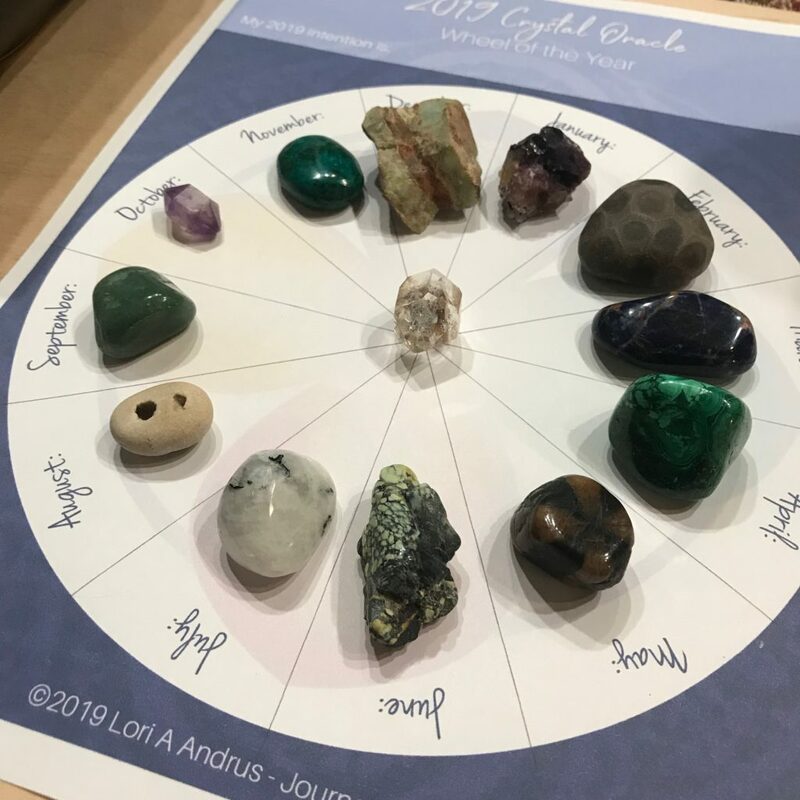 You may also want to enter each crystal of the month into your calendar along with a couple words that you can refer back to. 8. Most important step . . . Have fun! Wishing you a lovely week and a joy-filled reading! I’d love to hear how this goes for you and what you discover! Share in the comments below. Saturday, January 19th, 12 – 7pm and Sunday, January 20th, 11am – 5pm. In-person at Everybody’s Yoga in Green Bay, WI. 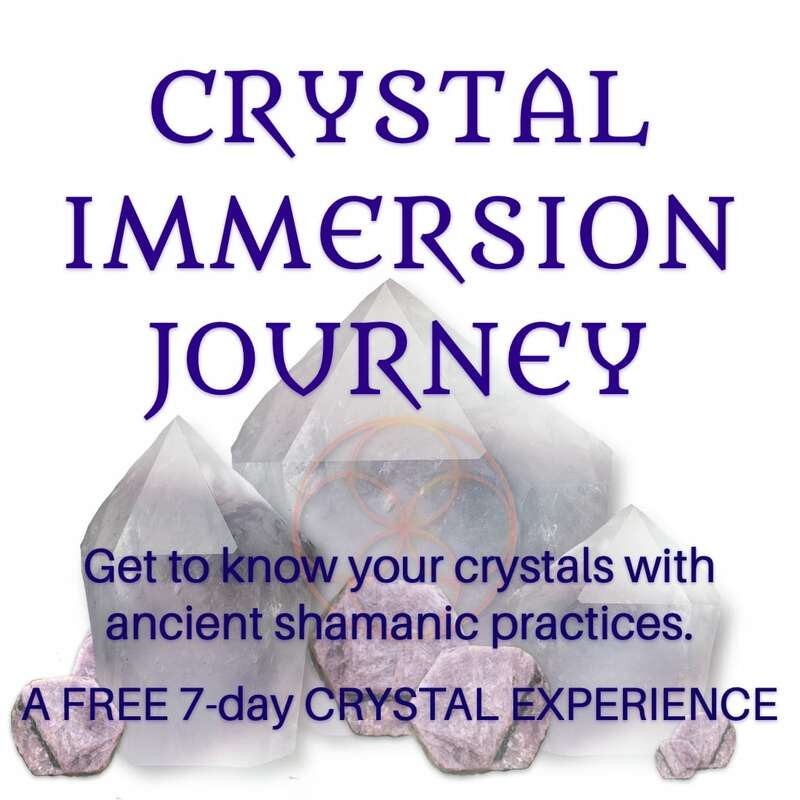 Crystal Shaman Healing Sessions . . .
Winter is a wonderful season to dive into personal exploration. It’s a time for reconnecting with your soul wisdom so that you may powerfully create your life + reality. 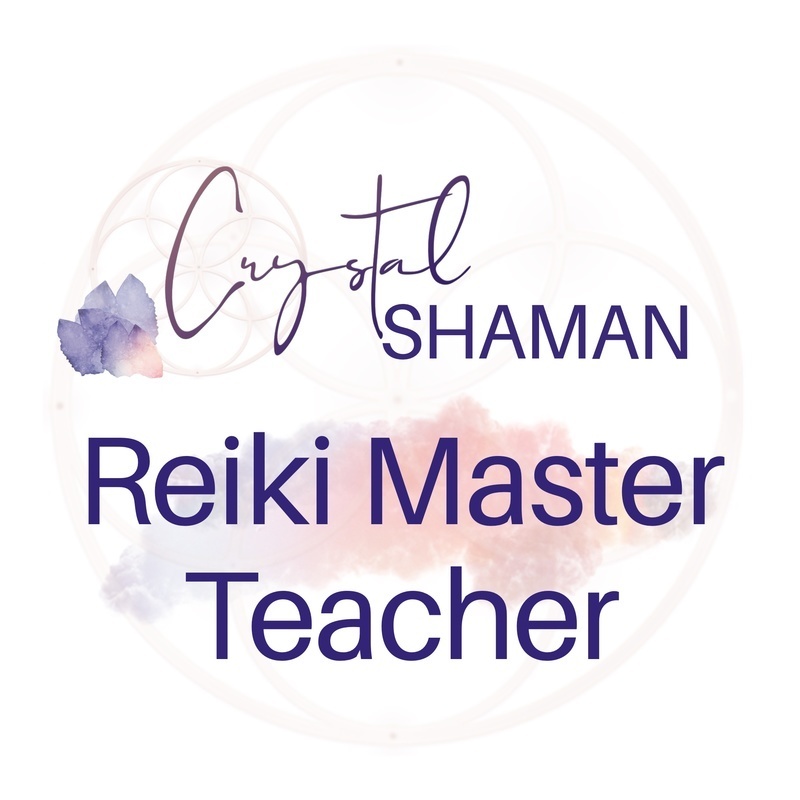 I have some openings in my schedule during the coming weeks for private Crystal Shaman Healing sessions and would love to support you on your winter journey inward.